Femtosecond optical gating (FOG) methods gives best temporal resolution in fluorescence spectroscopy. The resolution is determined by a pulse width of femtosecond excitation and gate pulses and doesn't depend on a detector response function. The fluorescence kinetics from femtosecond to nanosecond time range is obtained by a scanning of the gate pulse relative to the fluorescence excitation pulse. 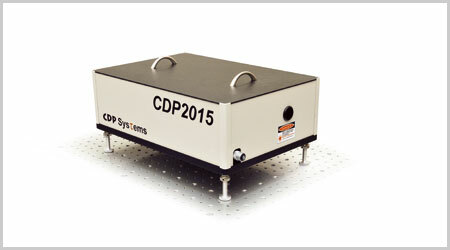 The sum frequency generation (also called up-conversion) in optical nonlinear crystal is used as a gating method in the FOG systems manufactured by the CDP Systems Corp. since 1997. 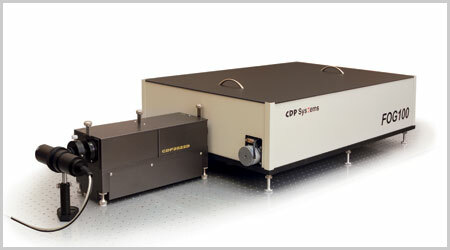 We offer up-conversion systems to match with different types of femtosecond pulse sources and to get best spectral and dynamic ranges, sensitivity and temporal resolution.